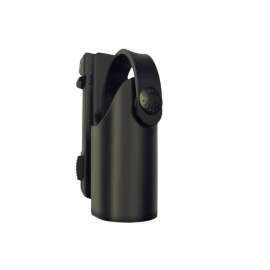 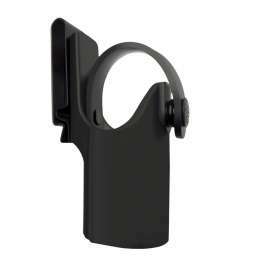 Swivelling plastic holder for expandable or classical tonfa is determined for professional use. A safety lock prevents movement and spontaneous release of Tonfa from the holder. 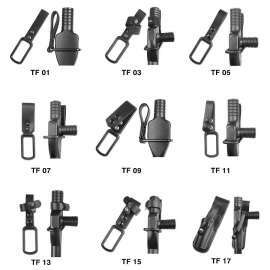 Tonfa can be rotated in respect to the belt by full circle of 360 degrees with 16 locking positions. 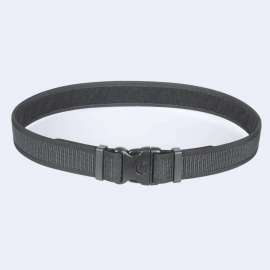 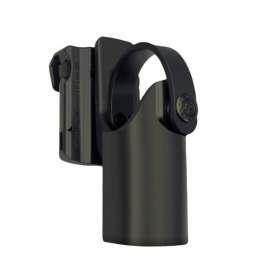 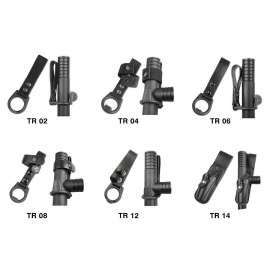 New universal rotated clip UBC-03 for belt. 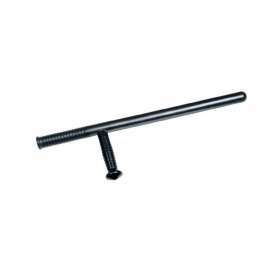 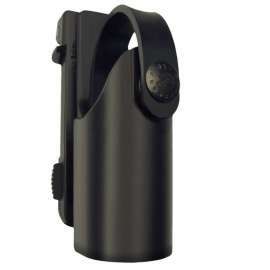 Swivelling plastic holder TH-34 for Expandable or Classical Tonfa is determined for professional use. 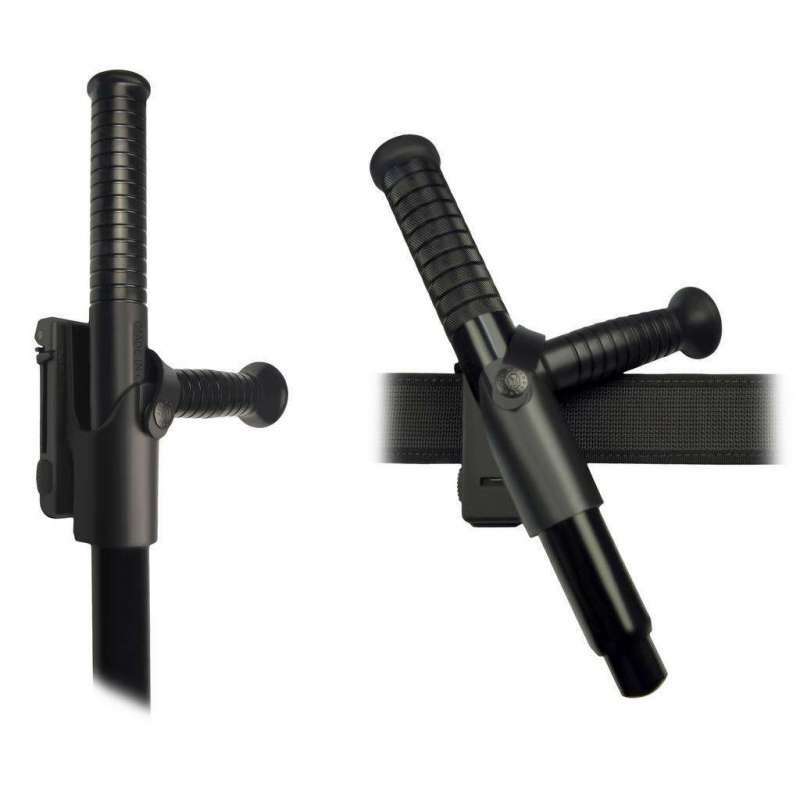 It contains a safety lock, which prevents movement and spontaneous release of Tonfa from the holder. 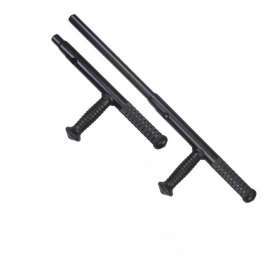 Tonfa in the holder can be carried on the left or on the right side. 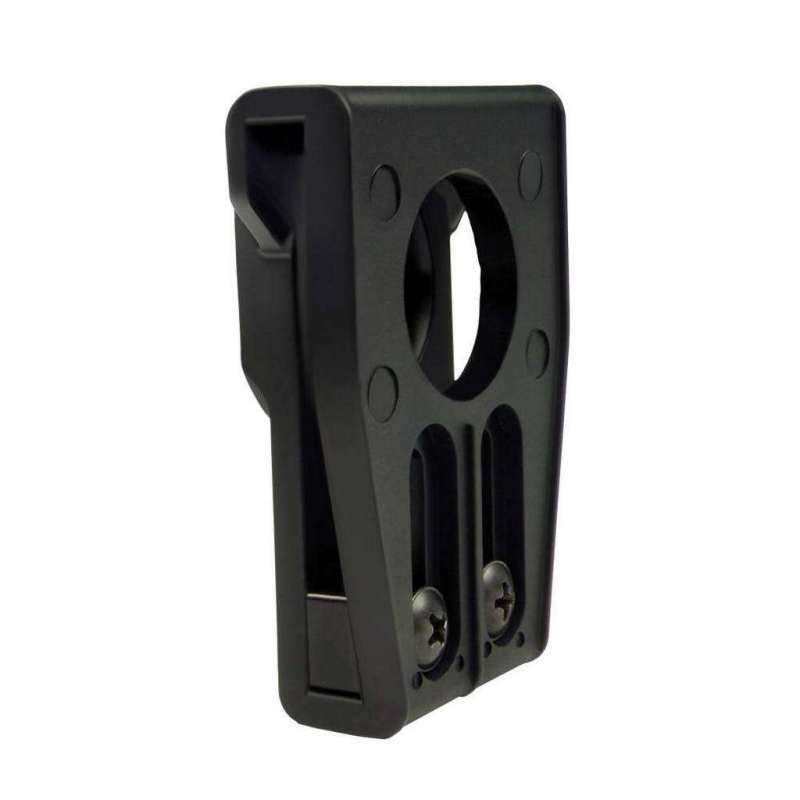 This type of holder uses model of clip UBC-03, which it can be adjusted to the belt width by adjustable stop with two bolts.